After the devastating Great Eastern Earthquake in 2011 the local community got together to send donations of much needed cloths and supplies to victims of the disaster. 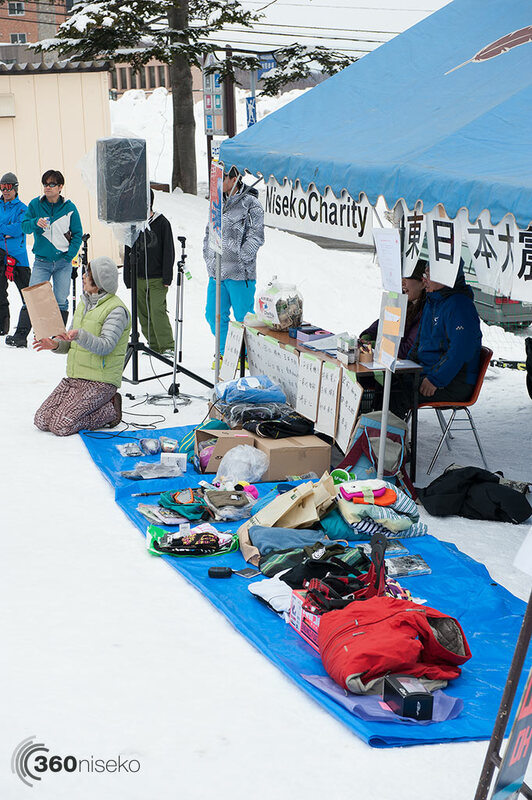 The following year the first Niseko Charity Ride and Auction was held. 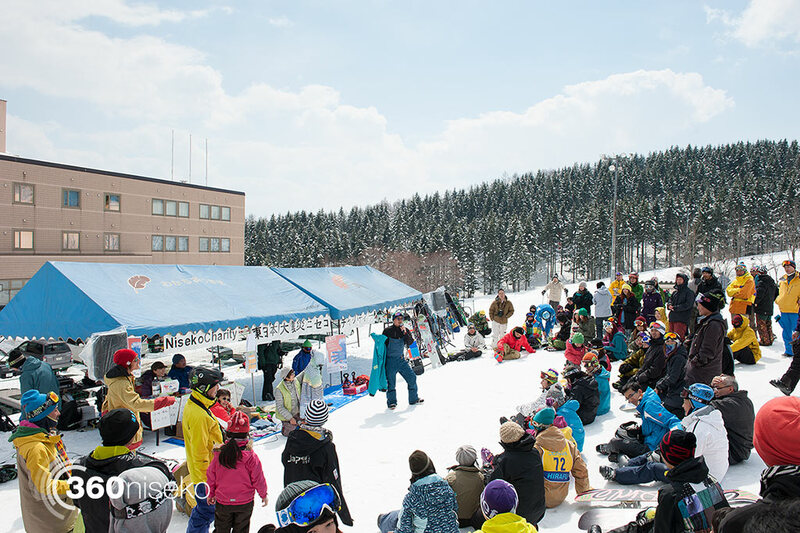 The day starts with a charity ride where people can join local snowboarding pros for a free-ride session in Niseko Hirafu. After the ride an auction is held to raise money to support those living in Fukushima prefecture and the construction of an indoor sports complex. 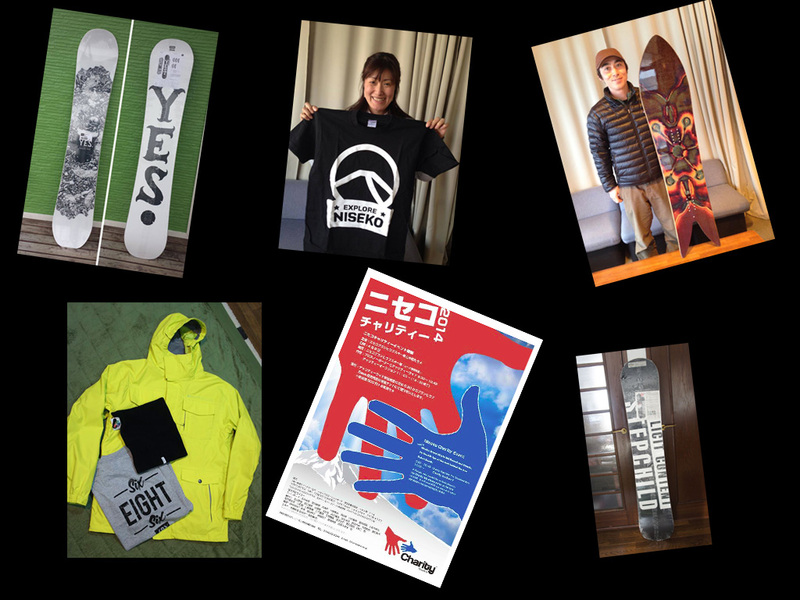 There are all sorts of items to be auctioned out donated by local businesses and individuals such as: Cloths, Apparel, Snowboards, Services, Accommodation and much more. Registration for this years ride takes place from 8:30 in front of the Grand Hirafu’s Base ticket station and costs 500 yen. The ride runs from 9:00 until 10:45 and the auction starts at 11:00. So, don’t be shy drop by and support an excellent initiative and a great cause – you may even pick up an absolute bargain! 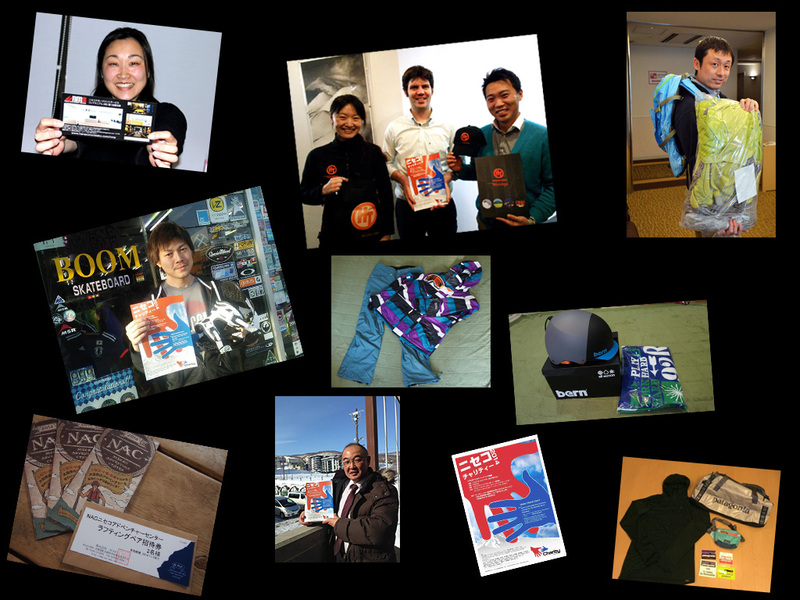 *The collage images are taken from the Niseko Charity Facebook page.